Fast Food when you Travel? Really? International Cuisine is not fast food!. Many travelers look for McDonald’s, KFC, Pizza Hut and other American fast food chains when they travel. I have news for you, Fast Food is NOT cuisine! If you go to a foreign country and eat American Fast Food, you are missing out on the true gems of that country. Countries like Italy have unbelievably good food. It is NOT the same as Italian food in America. It is soooo much better. Go, see, experience and enjoy the food and wine. Fruits & vegetables in these countries are so fresh and ripe. You can smell them and the taste is so delicious. Fish is wild caught and meats are raised and fed properly. Everything tastes great the way it was intended to taste. In addition to the raw ingredients, the recipes are old and delicious. In Italy you don’t find heavy sauces or a dish with 17 different ingredients. Dishes are simple and stand on the taste of the one or two main ingredients. 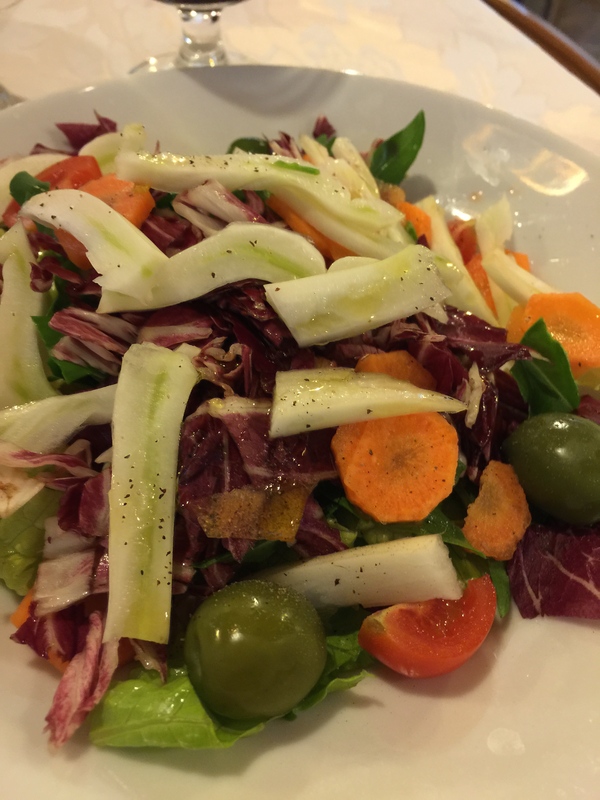 I suggest that you try different things when traveling in Italy. Even if you don’t think you like it. This is how you expand your taste buds. There is no better place in the world to do this than Italy. My memories are of the bread, coffee, gelato, pasta, pastries, pizza, fish, truffles, buffalo mozzarella and wine of Italy. 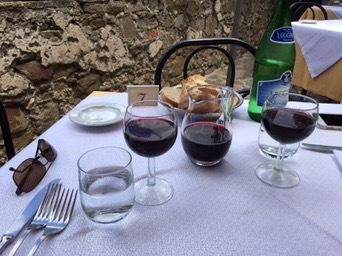 Vino or wine in Italy is special. Most Italians drink cafè and vino. They are universal drinks in Italy. Cafè is pretty much the same all over Italy. Coffee beans are fresh and roasted to perfection. The people making the cafè are highly trained individuals. You go to a bar to get your cafè and maybe something sweet to eat with it. Vino is different in different parts of Italy. 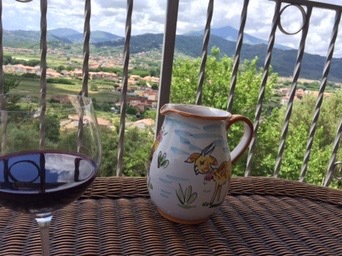 Italy has many world-class wines like Brunello and Chianti. Their Brunello stands up to the top wines in France or California. 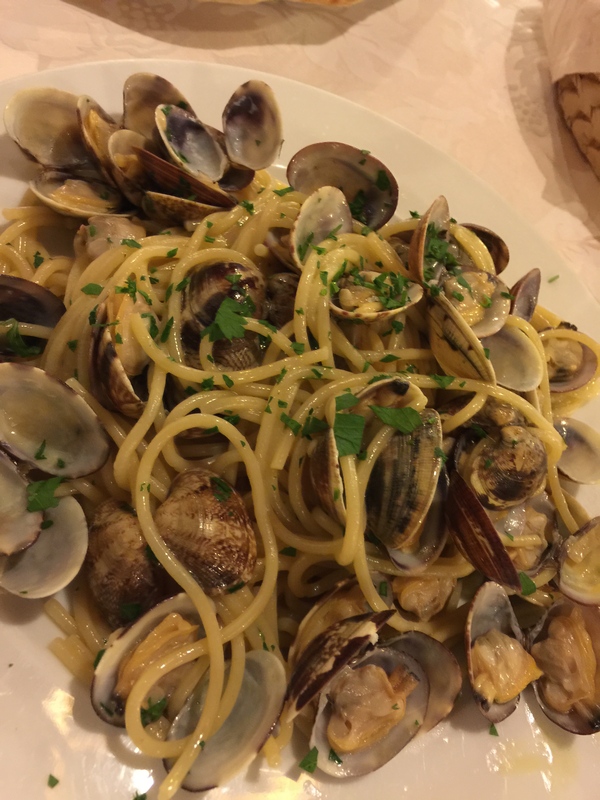 It is expensive even in Italy so it is not consumed by most people at the dinner table. Italy has local wines by region. You can find both red and white, dry and sweet varieties. Some are bottled and others are only available in bulk to consumers. Bulk wines are poured from a large cask into what ever vessels the consumer has. They range from water bottles to glass or ceramic pitchers. Coffee or caffè in Italy is a way of life. It is not guzzled in gallon sized mugs but sipped in small demitasse cups. It is what we call espresso. 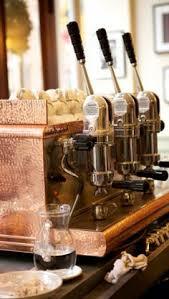 Italians love their caffè because it is not just a drink but a social activity. You meet friends and colleagues on the way to work and have a caffè. Their caffè is never bitter but it is strong and delicious. It is always drunk hot and quickly in a few sips. Caffè is purchased at a bar. 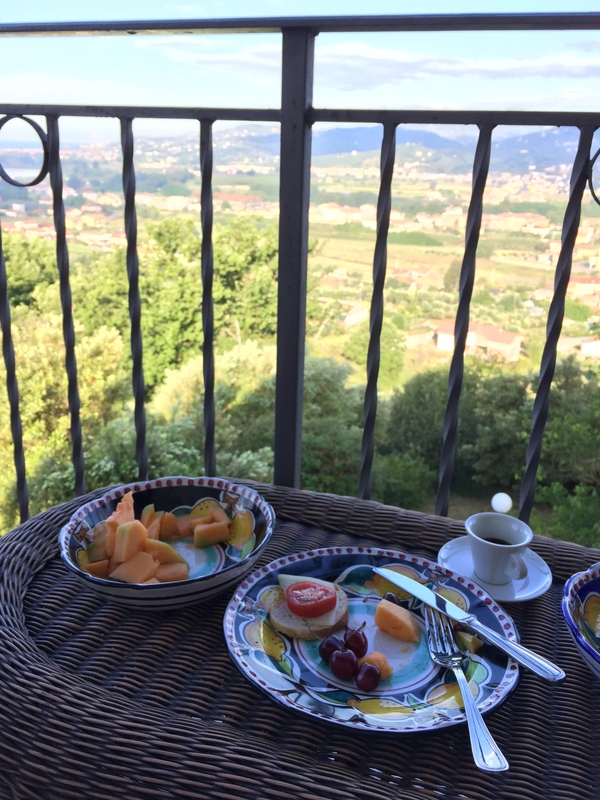 This is where Italians eat breakfast. 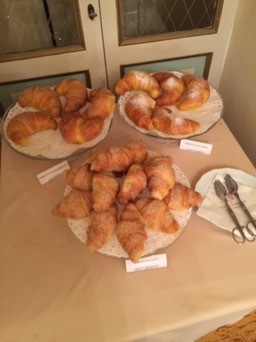 Breakfast is a caffè and a pastry like a cornetto (croissant). This breakfast is fast and light. 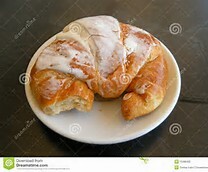 It is not as sweet as our pastries. It is not about sugar but taste. You never sit and drink 5 caffè in a row. You drink one and may return later for another and to meet a different set of friends. I was doing consulting in Milan many years ago. I was working for a division of Olivetti. We met a 8 am to start our meeting. I put a schedule of what we wanted to achieve on the board. It took about half an hour. Then the president of the subdivision said, Let’s go to the bar! I thought, WOW they want to go to the bar at 8:30 in the morning? What I soon learned is that the bar is where you eat breakfast and more importantly get caffè. 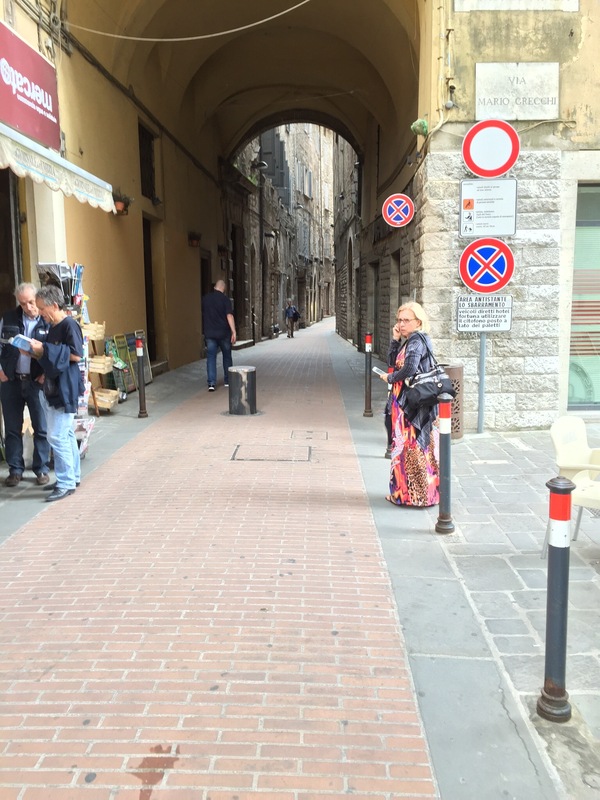 I was learning and enjoying life in Italy. I never worry about getting breakfast with my hotel room. I know there is a bar on just about every corner. 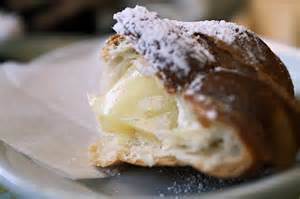 I can get the most delicious and light pastry and a great cup of caffè. OK you want a big cup of coffee not so strong. No problem! You just ask for Caffè Americano. Cappuccino is very popular all over the world but no Italian would dream of ordering it after 11 am. There are Caffè coffee rules to be followed in Italy. There are also many types, with associated names, of coffee. My favorite name is Caffè Corretto (Coffee corrected – with liquor). 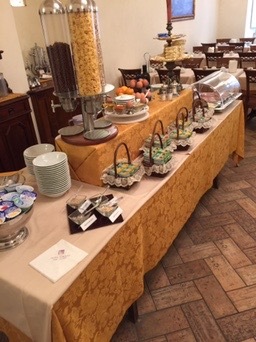 When in Italy go to a bar and have breakfast or lunch or gelato. It is not like bars elsewhere. They are family oriented and fun. I remember arriving in Rome one afternoon. I was tired and heading up the elevator of my hotel with my luggage. Two older American women got on with me. The one looked at me and asked, Are you American? I replied affirmative. They then asked where they could get something to eat before 7:30 pm. I said in Rome most places do not open until after 7:30. I suggested going to a bar. The one lady gave me a very stern look and said, Sonny, I have never been to a bar and I won’t start now. I had a good laugh and had to think, How unfortunately for them. They would never experience the simple delicious meals at a bar. Oh well you can not help everyone! 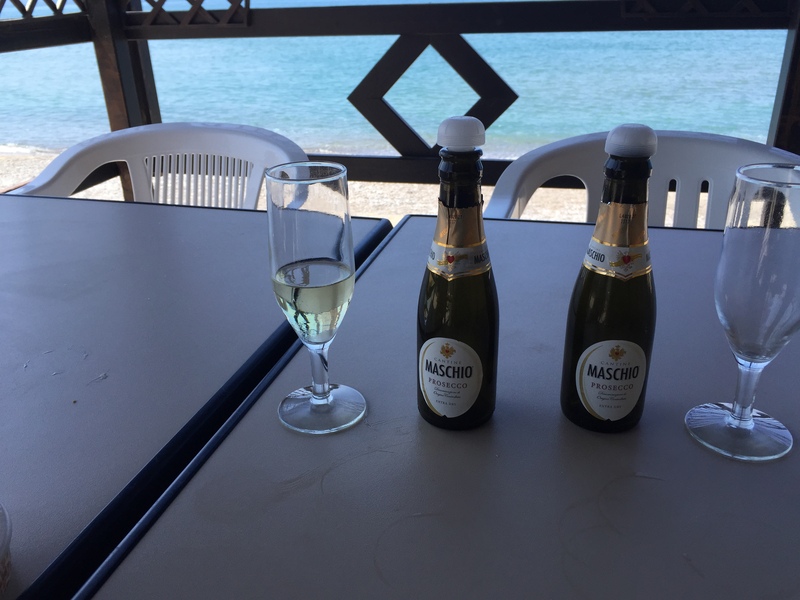 I will continue to do this BLOG while Jo Anne does her’s on southern Italy BLOG. Most countries have Italian restaurants. The pasta is usually prepared over cooked not al dente. The dishes mix many different ingredients and tastes. We associate certain dishes with Italian but they are not. Spaghetti and meatballs is in every restaurant in America but it is not Italian! Italians do not serve this (except in tourist restaurants to please tourists). They do serve spaghetti and later will serve meatballs but not together. Just observe Italian life. It is simple and fresh. People in Italy do not buy frozen or prepared foods. They shop each day for that day or maybe the next. 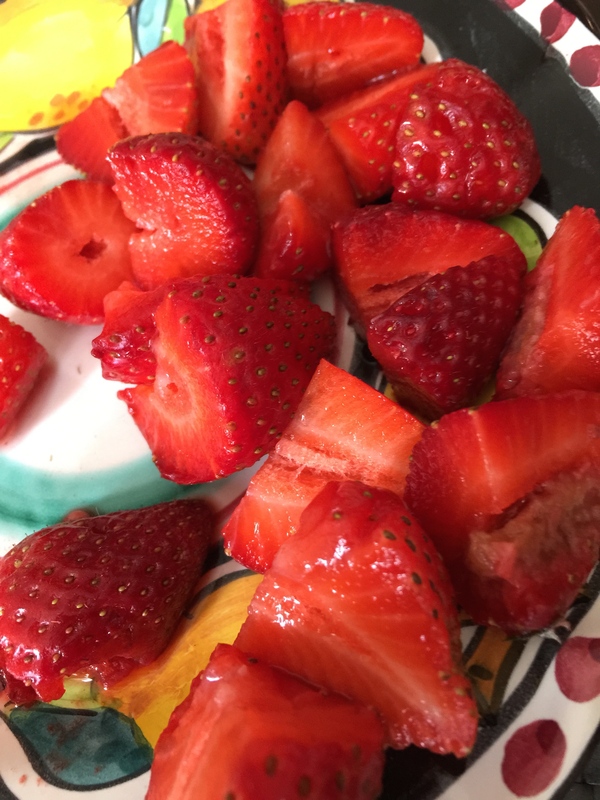 Vegetables and fruits are fresh out of the Earth, meats are organic and fresh from local farms, fish is just caught in the sea and breads and pastas are made fresh. 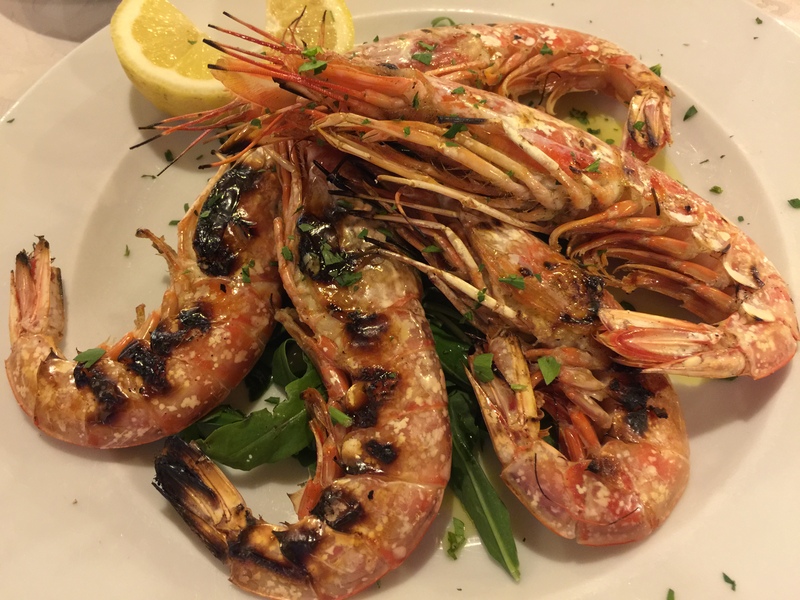 This is what makes real Italian food so good and so different from what we expect. 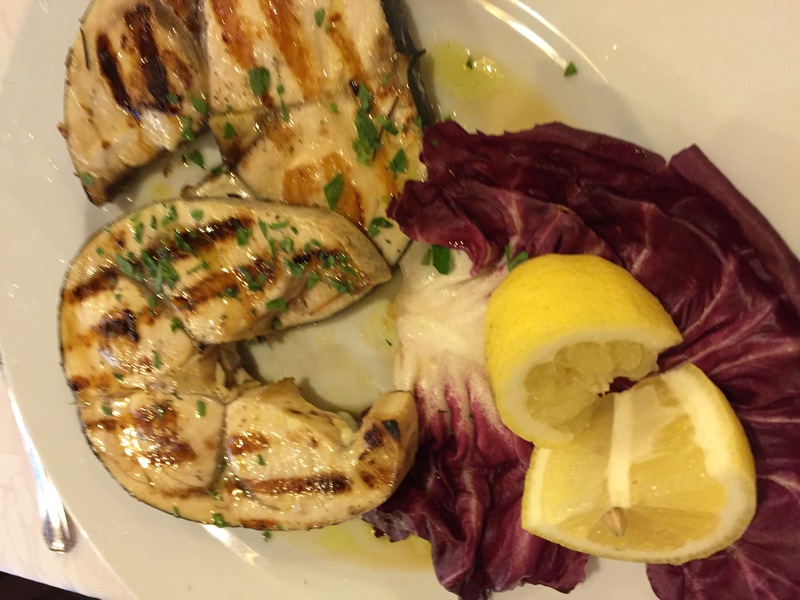 When you go to Italy, order the local dishes and wine. Stop and taste the flavors. Eat slowly and enjoy each bite. Take a piece of crusty bread without butter or oil. Taste the freshness of the bread. Experience the crusty texture of the crust. This is eating Italian. OK you like sweets. Taste the Italian pastry, gelato and candy. It is not as sweet as sweets in other countries. It is tasty. Enjoy what you eat slowly. Each bite is an experience. 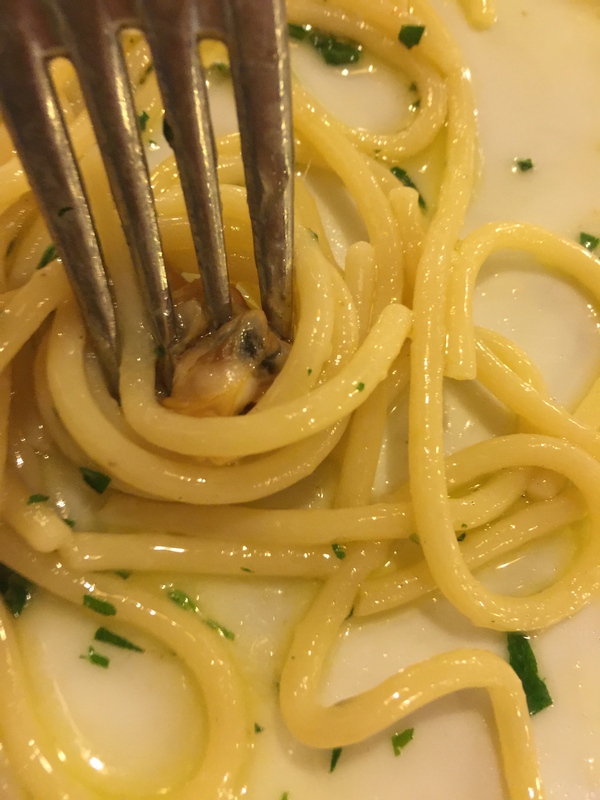 Avoid tourist restaurants and please do NOT eat American Fast Food in Italy! Your taste buds deserve to be treated to a real experience. The drive south from Florence to Velina takes about 6.5 hours. We drove past Rome, Naples, Salerno and Agropoli. South of Naples you pass to the east of Mount Vesuvius. It is always humbling being close to such a large active volcano. As we exited the Autostrada at Battipaglia (south of Salerno on the A3) you know you are in Buffalo Mozzarella country, You can see buffaloes grazing and every other stores sells the rich mozzarella. In this area is also the ancient Greek ruins at Paestum. This area of Italy is very mountainous. 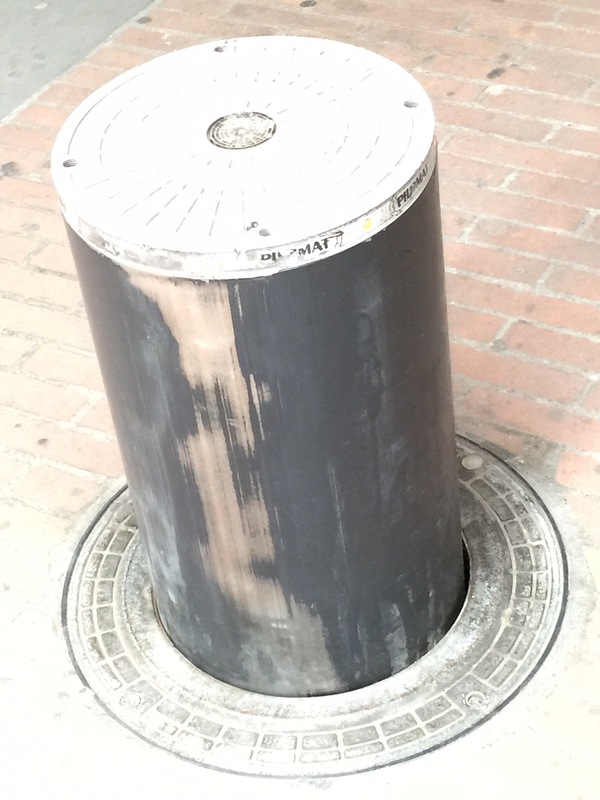 You know there were violent times here in the past. Today it makes for beautiful Italian countryside. We exit at Vallo Scalo and head to nearby Velina. Velina sits in a valley between high mountains and the sea. The mountain peak above is Mount Stella. 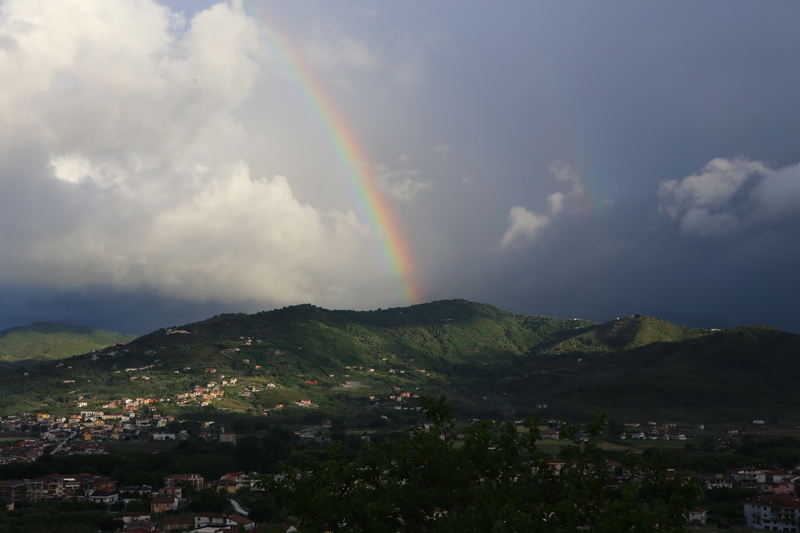 The view differs each day as rainbows appear and clouds come and go. The food here is mainly fresh seafood. Even eating at home on our deck overlooking the mountains and sea is fun and delicious. Life here is slow and beaches are clean. One only has to shop the local stores for vegetables, seafood, pastries, wine and bread. Each shop specializes in what they make. You don’t need big refrigerators because you buy fresh each day. There is hardly any frozen items so a freezer is to make ice. Tomorrow and next week we will visit many small towns and beaches in this area we call home. We are back from nearly a month in Italy. 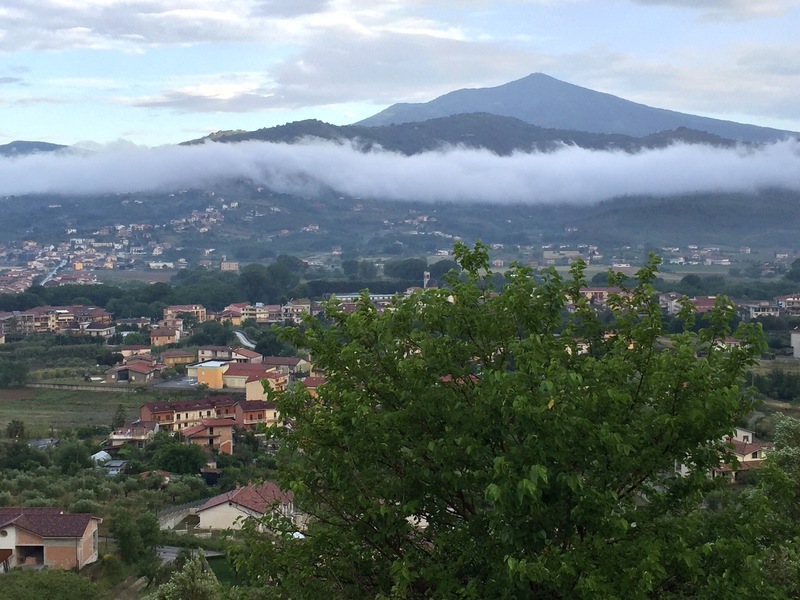 We spent a week Plus in Tuscany and two weeks plus at our home in Campania. In Campania we visited several old mountain and beach towns. Some we had already been too and others were new. Let’s start in Tuscany. 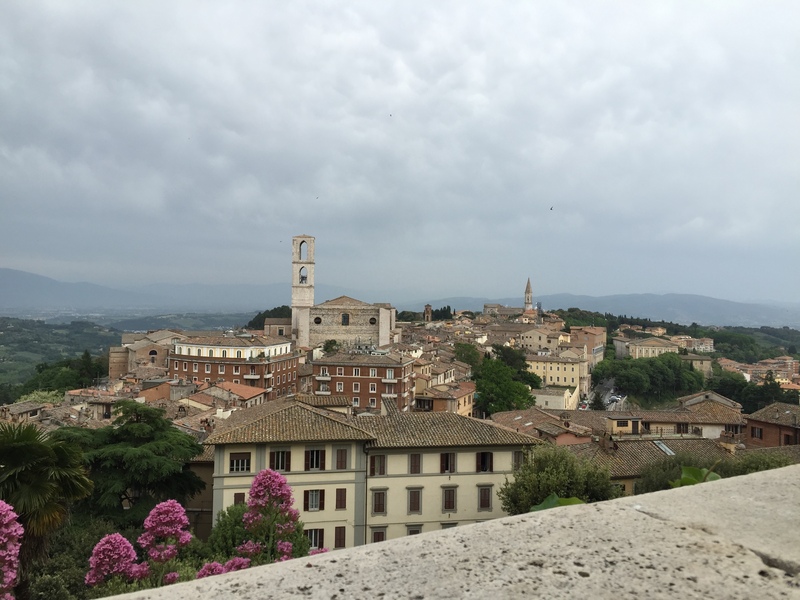 Our first stop was Perugia. This is chocolate town in Italy. It is the home of Perugina chocolates. 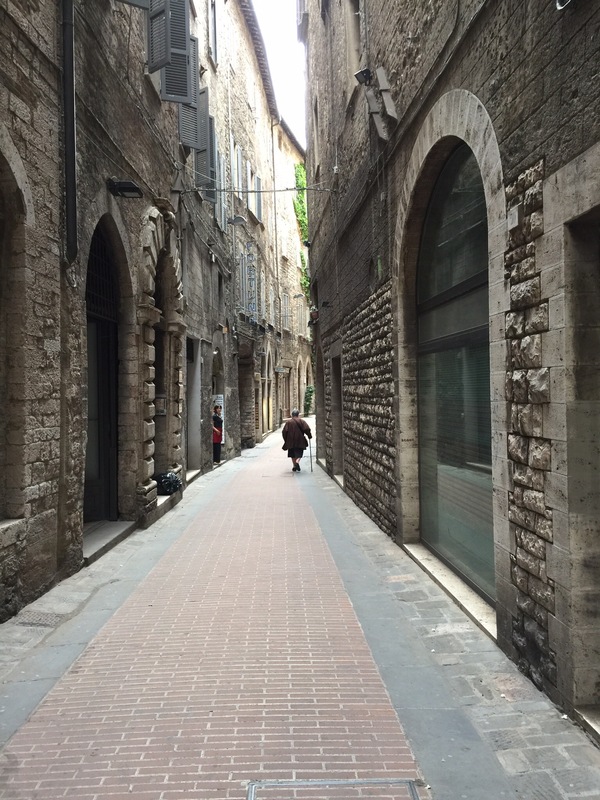 The town is ancient with very small roads that barely permit a car to pass. We used GPS to navigate to our hotel, Fortuna. Getting into the old section was easy but we were on a one way street an a giant cylinder blocked are way. We got the car down to the parking area and took several sets of underground escalators back up to the old city. Like many Italian towns there was a large and small piazza. The small one had an incredible view out over the hills of Tuscany. 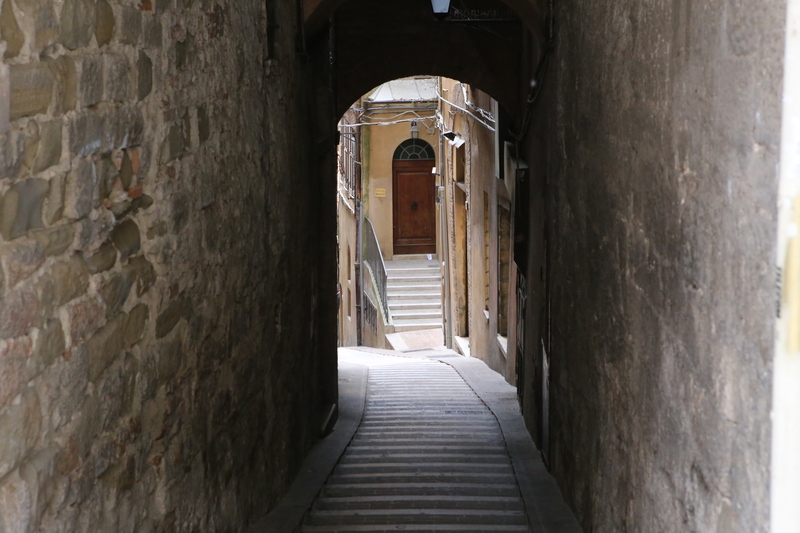 Perugia is a series of very small roads (paths) off each Piazza. 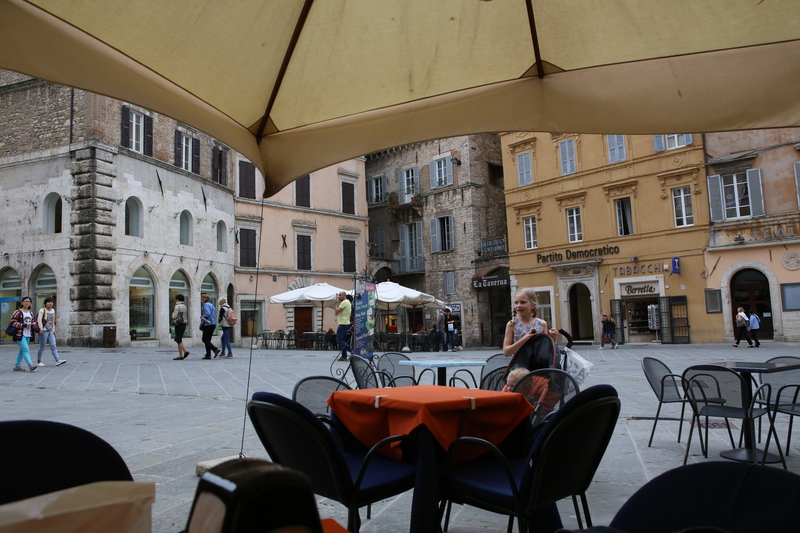 Finally after touring Perugia and eating some chocolate we found an outdoor cafe in the piazza for some much need wine. 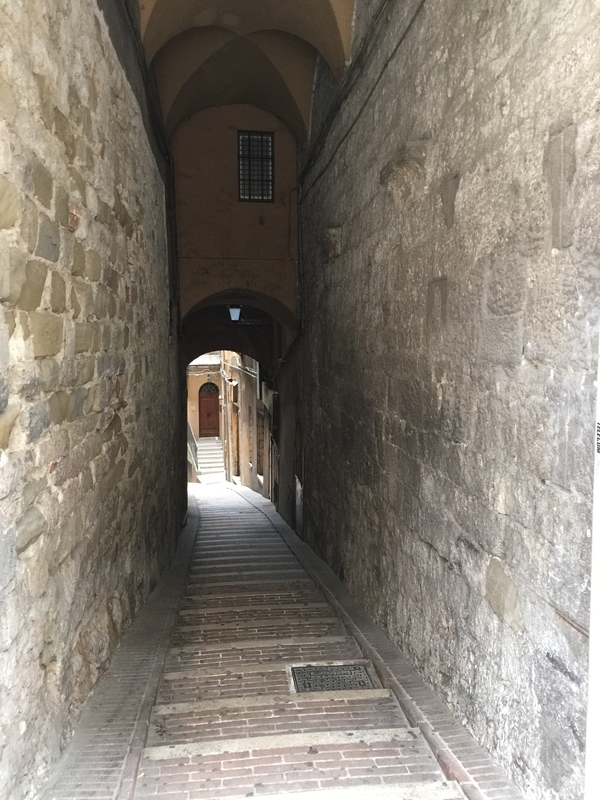 You are calm and feel good in Perugia (other than the initial driving). We had excellent free wifi at our hotel and a wonderful breakfast. You are part of an ancient medieval scene. Enjoy … Tomorrow we will take you to Assisi.